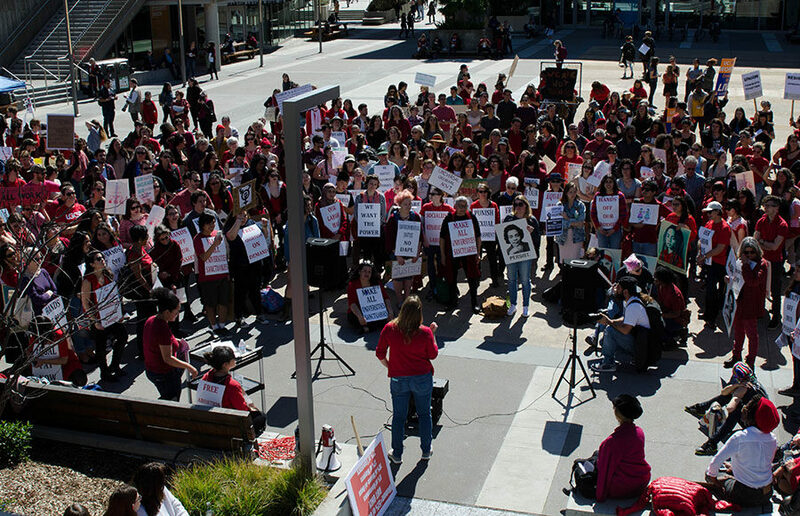 The UC Berkeley Spanish and Portuguese department organized the campuswide women’s strike in order to encourage women, especially those who are part of traditionally disenfranchised groups, to advocate for greater rights, according to campus junior Ilsa Carrillo, who helped organize the event. 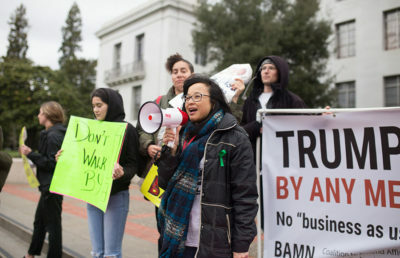 About 200 people attended the demonstration, where members of the campus and Berkeley community discussed reproductive rights, labor rights, immigration, racism and university policies. “The intention (of the strike) was definitely for women in general, but also for trans, queer and immigrant women — and women (who are) marginalized and silenced,” Carrillo said. Speakers and attendees included students, alumni and faculty of UC Berkeley, as well as members of the LGBTQ+ community, mothers, grandmothers, union workers, child care workers and people of various socioeconomic backgrounds. As part of the strike, some instructors in the Spanish and Portuguese Department canceled classes. Those attending recognized that strikes are a controversial method of protest, as those from lower-income backgrounds may not be able to afford time off from work. 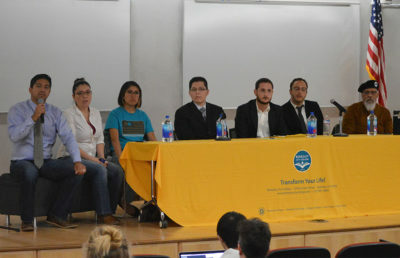 Demonstrators, however, defended their participation as necessary to address the problems at hand. Child care worker Adriana DeVost expressed a similar sentiment stating that women of color are overrepresented in her field, which she said is neither respected nor well compensated. She emphasized the demands of her work, such as physical and mental labor, and said women need to keep up the fight for equal pay. A group of students from the Undergraduate Workers Union at UC Berkeley that spoke also emphasized labor issues, speaking about the issue of harassment in the workplace. UC Berkeley freshman and UWU member Jessica Gonzalez said one of their demands is to bring an end to harassment in the workplace, which she noted disproportionately impacts female employees. Other students expressed that they experience gender inequality in the classroom. “Sometimes in class, I’m studying business, and in that area the male voice seems more dominant,” said campus junior Shanti Galvan. 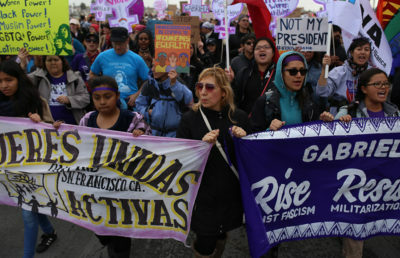 Donald Trump’s presidency and the current political atmosphere were frequent topics of conversation at the demonstration. Sheila Goldmacher, an 83-year-old grandmother of four who identifies as a lesbian, referred to Trump as “the orange man” and urged those in the audience to write to Speaker of the House Paul Ryan expressing support for the Affordable Care Act and Planned Parenthood. “Given our current political climate it’s important to show we are standing in solidarity with all women, not just women in a certain class,” said campus graduate student and attendee Christina Azahar.